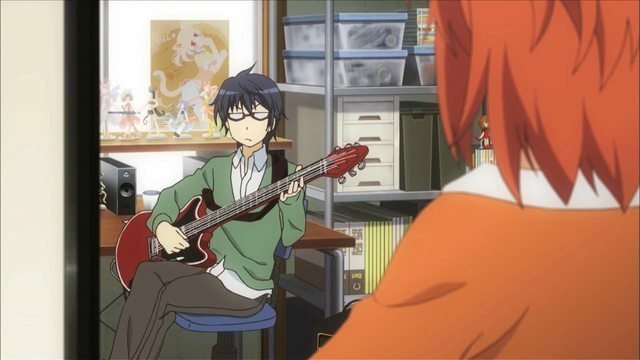 In Non Non Biyori, Koshigaya Suguru is the older brother of Komari and Natsumi. Most sources note that he has essentially no presence and very little speaking in the series. This is played for humorous effect a number of times. I'm wondering if he even has any spoken lines or voice acting in the anime. If so, who is his voice actor? Most sources (e.g. Wikipedia) don't list a voice actor at all, but also don't explicitly say that he is totally unvoiced. Well, here's an album of all the cast credits from the first 9 episodes of Non Non Biyori: link. None of them list Suguru. At minimum, then, we know that he hasn't had any lines so far. Maybe we'll have a big reveal in the final episode or something that Suguru actually does speak, but for the time being, I think it's safe to say that he doesn't have a voice actor. Not the answer you're looking for? Browse other questions tagged voice-acting non-non-biyori or ask your own question.